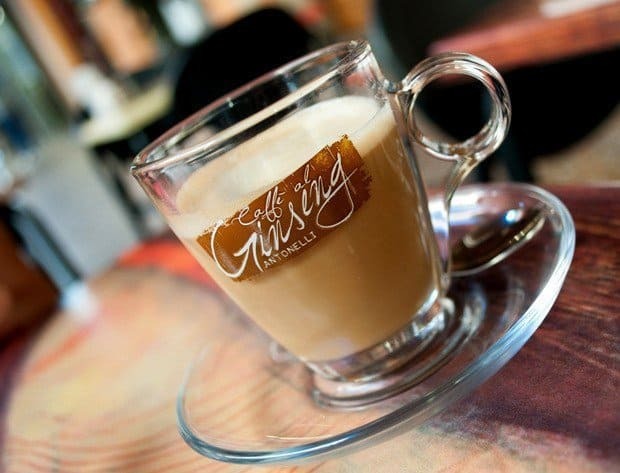 Coffee culture is an essential part of Italian life, akin to an art-form and nigh on a religion. There’s a myriad of coffees on the menu from Espresso to Caffé Shakerato – then there are the two, three or four different ways they’re served. 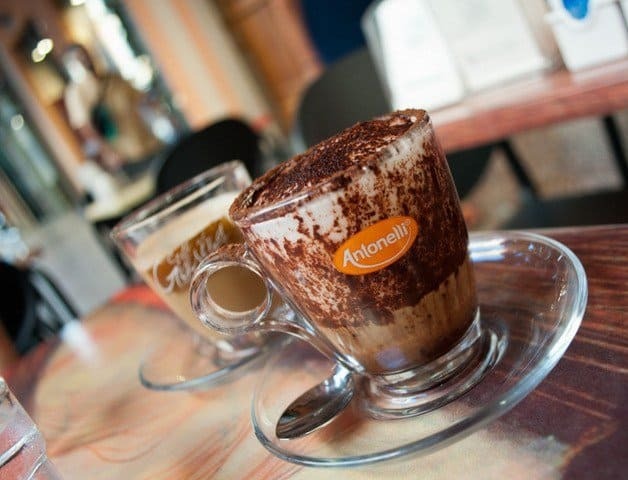 Coffee is a serious past-time in Italy and comes with its own etiquettes and customs. Let’s get to grips with the ground rules – just so we don’t commit any Italian coffee faux pas. In Italy a bar is not a bar, at least not like the bars we’re familiar with in the UK or USA. In Italy it’s actually a café (caffé) and sells snacks, pastries and alcohol but mainly it sells coffee. Fast coffee. Coffee on the go. Italians drink lots of coffee – they drink it small and they drink it fast. A pick-me-up and a quick caffeine kick. ‘Caffe’ is what we’d call an Espresso – it’s served, not too hot, in a petite cup and saucer – thick, dark and without milk. It’s ordered at the till and downed, like you’d slam down a shot, whilst standing at the counter (al banca). This all takes less than five minutes at a cost of under €1. In Italy it’s not usual to sit at a table (al tavolo) and linger over un caffé unless you’re in a tourist area where it’s accepted. However, if you want to take your time and indulge in a bit of people watching (like I do!) whilst sipping your Macchiato you’ll be charged accordingly – around €6. You’ll get a few odd looks from the locals if you order a Cappuccino or milky coffee post 11 a.m. or after a meal. A milky drink on a full stomach is most definitely frowned upon. So if you must order a Cappuccino post dinner at least have the decency to look embarrassed! You can take your Espresso (never eXpresso) short (Ristretto) or long (Lungo) depending whether you like your Espresso with more or less hot water – it’s not as diluted as an Americano and more authentic. 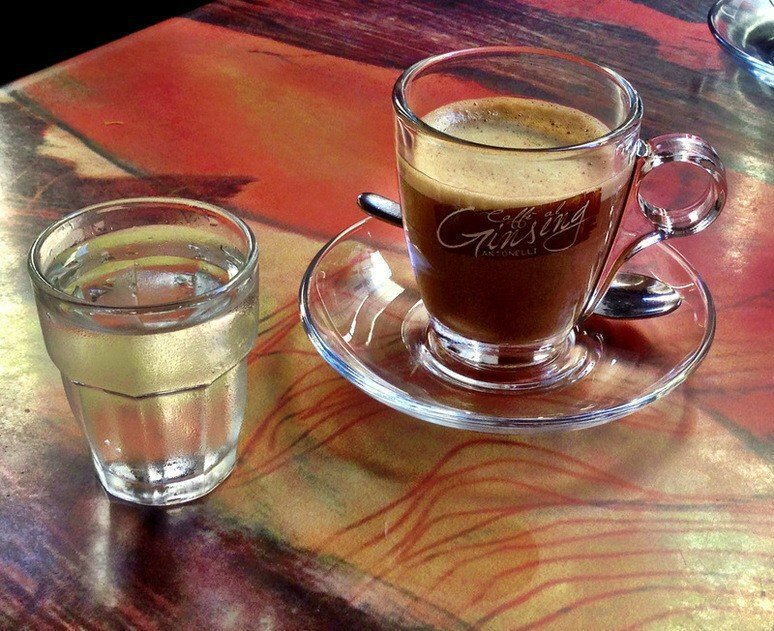 If you need a proper caffeine hit go for a Caffé Doppio (Corsivo) which is simply a double shot espresso. This is a long black coffee, espresso topped up with hot water, and my choice for an after dinner coffee – a neat espresso would keep me awake – the same amount of caffeine, I know, but it’s all in the mind! This is iced black coffee that has usually already been mixed with sugar and chilled in a bottle in the fridge. If you don’t want it sugared ask for ‘non zuccherato‘. It’s served in a glass (al vetro). If you don’t fancy a milky coffee but can’t do without a dash of milk then a Macchiato might be your answer. An espresso stained with a tiny froth of milk and served in a demitasse cup. The Shakerato is a shot of espresso, lightly sweetened and shaken with ice in a cocktail shaker. 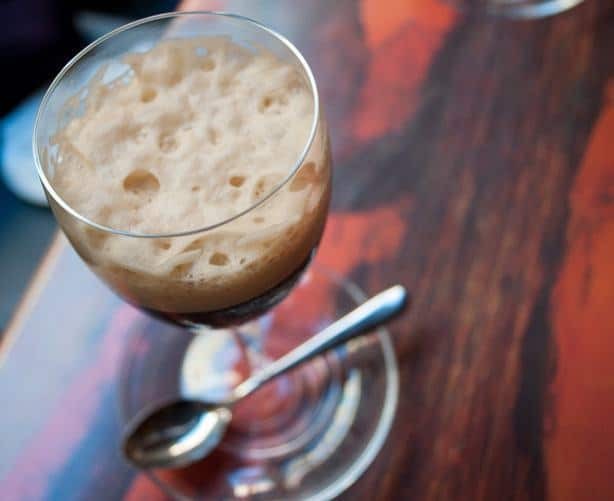 A delicious cloud of foamy froth tops off the glass and a vanilla liqueur is sometimes added. The perfect pick-me-up for a hot summer’s day. Translates as summer coffee. Basically an espresso topped with con panna (cream) and buckets of foam. Looks pretty but there’s a lot of foam (shiumato) to get through before you hit the espresso. I love the way the name implies that your Espresso is faulty until it has been ‘corrected’ with a sneaky dash of grappa, brandy or liqueur. I find Tia Maria works well – maybe I should research further on this one. 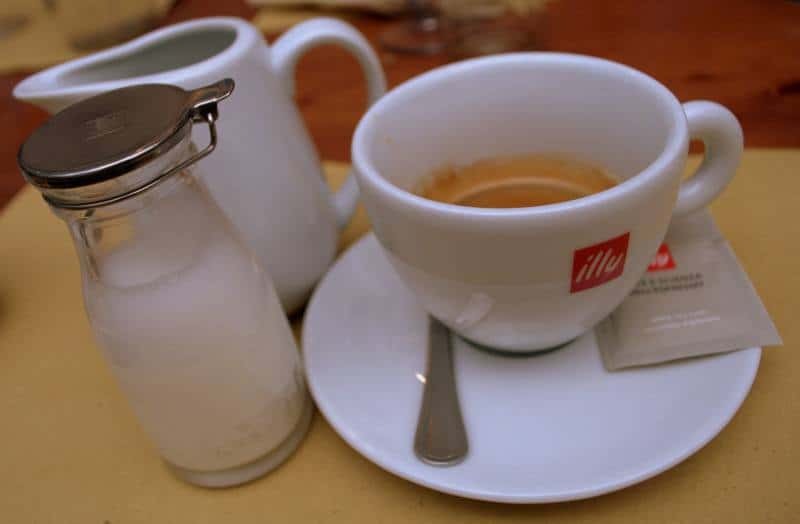 If you order a latte in Italy you’ll get a glass of milk and probably an odd look. In Italian latte means ‘milk’. Served in a glass demitasse – so you can see all those layers of gorgeousness. 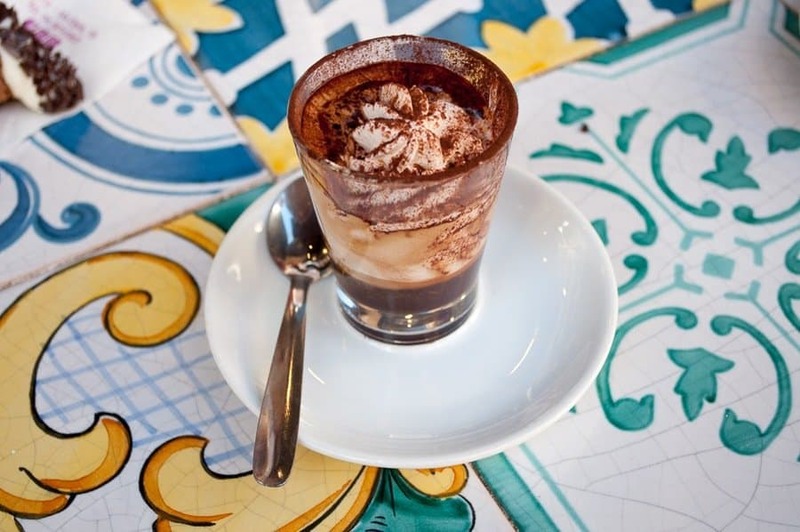 The inside of the glass is sprinkled with cacao (chocolate powder) followed by a shot of espresso and topped with a generous dollop of milk foam. If there’s not enough cacao a further sprinkling tops off this little gem of a coffee. Wonderful. 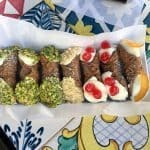 I hope I’ve provided a little enlightenment on Italian coffee culture and whetted your appetite with a little coffee inspiration. Disclaimer: This is not a sponsored post, however, there are affiliate links . If you purchase anything having clicked through from this site, I will earn a small commission, at no extra cost to you, which will help towards the cost of running this site. Aperol Spritz – Sunshine in a Glass! Nice info! There are so many of them that I haven’t tried yet. This a brilliant compilation Suzanne! I find a cappuccino too heavy. Much prefer a machiato or Americano. Those are my two go to’s Madhu and sometimes if I’m feeling dozy an espresso hits the spot! Indeed! Never ever drink cappuccino after 11:30 a.m. Great post! This is so cool. I wish we had this same culture in my country. I would love to try all them out. I’m way curious on Caffé Shakerato, it’s the first time I’ve heard of it. 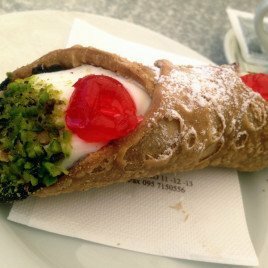 So do I – Italy’s a long way to go from the UK! I really wish we had this type of coffee culture in the US. This sounds similar to the coffee we experienced in France. Haven’t heard of all of these though! I can almost smell the coffee form your pictures! Thought I know about italian coffee but you surprised me. 🙂 Next time in Italy I will have Caffé Shakerato! 🙂 Thanks for sharing! After I returned from Italy, we bought an espresso machine – top notch – and I have to say, I have never looked back. Every cup transports me back to all those fantastic piazzas. We’ve got a little pod machine which isn’t bad but a top notch machine would be wonderful to have in the kitchen – coffee heaven! Yummmy! Looking at these photos really makes me want some coffee! And yes, you’re right! I lived in Florence for a while and I love to drink capucciono so I was getting the weird looks every single time I ordered it in the afternoon! How wonderful to have lived in Florence – such a beautiful city to drink coffee and people watch in a street cafe! Good lord, I would need to study this before I went to Italy to not make a fool of myself! Italy and coffee, what’s not to like? I’d never heard of the shakerato before, that looks delicioso! 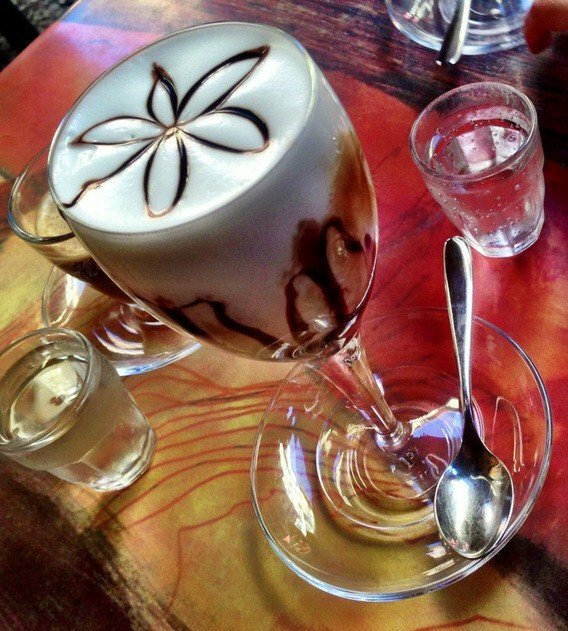 Italy, sunshine and shakerato – perfectio! I didn’t used to be much of a coffee drinker until I got to Italy now I’m converted but it has to be the right coffee. The servings in Italy are much smaller than in the States so more manageable too. 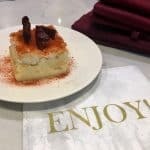 Wow I really want to try the Caffè Marocchino. It looks so good!!! It’s the first thing on my list to have when I arrive in Venice next month! I’m not usually a coffee drinker in the UK but when you’re in a place like Italy, you can’t not!! I think the one I’m most tempted by here is that cafe morrachino – yummy! I wish I liked coffee, but have never been a big fan (except, strangely, in tiramisu which I love). I didn’t used to be that keen but since trying some of Italy’s I’m becoming hooked! It’s just started to rain so a little of Italy’s sunshine would be welcome right now – and a nice cup of coffee. So many different coffees! I love shakerato when it’s hot but my favourite is still a cappuccino. I was told in Southern Italy that it is perfectly OK to have it anytime of day but not with a meal,as you say. 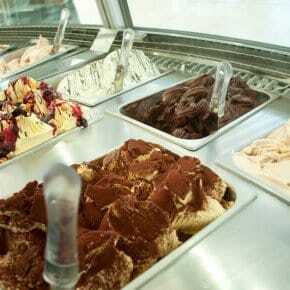 With a gelato, however, is fine! 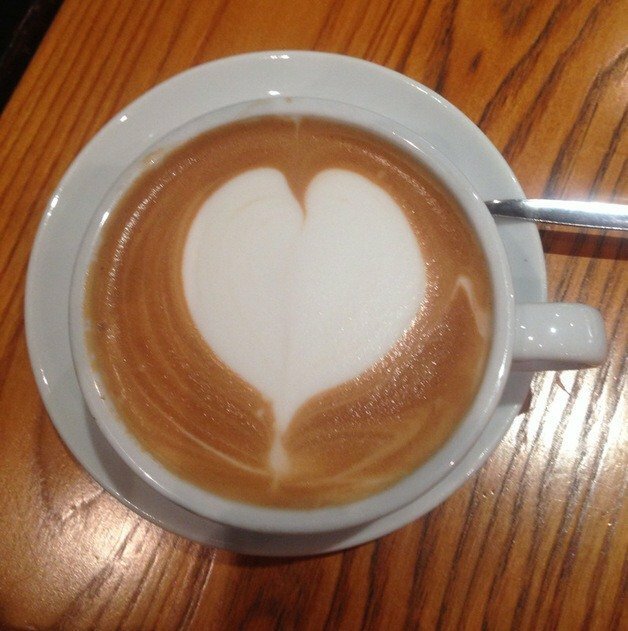 Personally, I think if you fancy a cappuccino whatever time it is then you should have it!